I love face masks. Not only regular usage keeps my skin happy,it also makes up for some relaxing exclusive 'me time' which I enjoy. From all the Mumbai bloggers, I kept hearing of Beauty Formulas products. 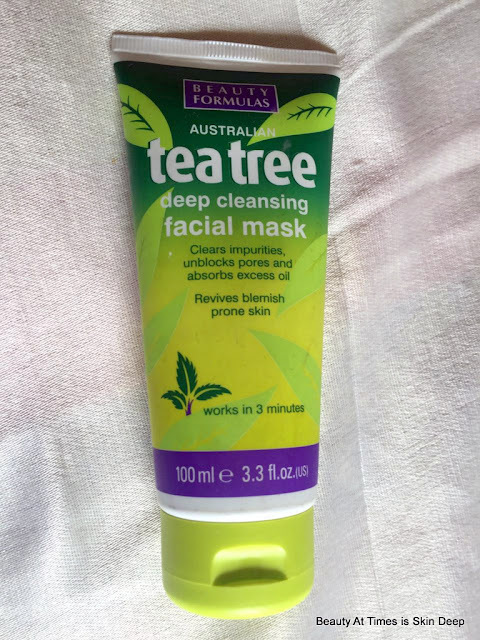 So, when I spotted the Tea Tree Mask at New U, Forum Mall, I picked up without a second thought. Because of my skin type, deep cleansing is always good idea. Added, it it a tea tree mask. So, I can't be going amiss. 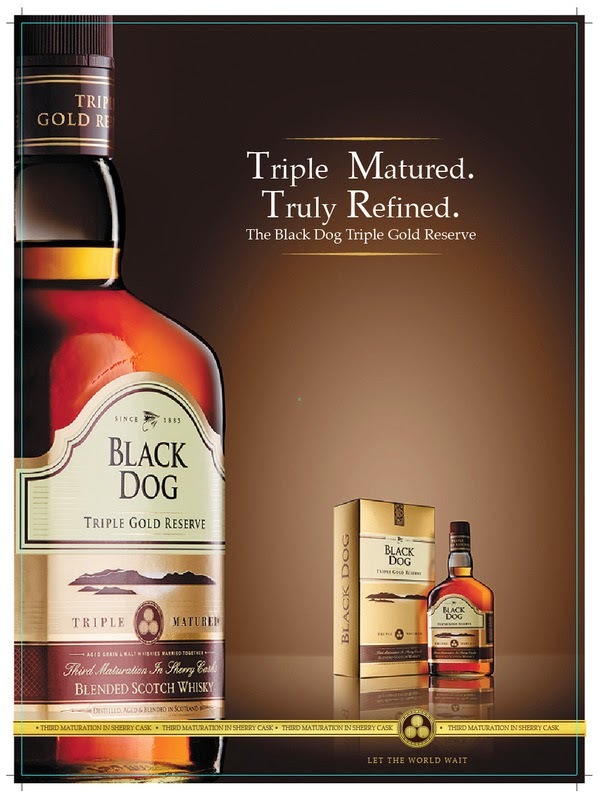 Price : Rs 195 for 100 ml. P205 ( approx) at Super Market, SM Aura. mask, but something different. Instructions say that it should be left on for 3 minutes or more if required. I always miss the 3 minutes and on leaving on, the green opaque cream starts turning semi translucent. The mask distinctly smells of tea tree. Effect: Unlike clay masks, you cannot expect overnight drying of zits and pimples. This one is meant for deep cleansing. 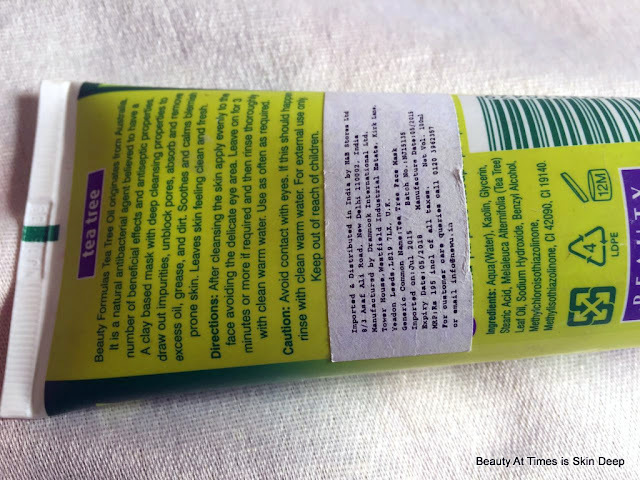 Post use, my skin feels clean, soft and NOT dry. Rather, my skin feels soft and nourished. I cannot say I have seen anything much beyond this; but, at the same time, I have not used it that religiously or everyday to feel the effect. Availability is definitely an issue. Yes. This is a mild, everyday face pack and for my skin which is now becoming mature, I need something like this. Besides, since this can be used frequently, I would love to use it daily. I wish I did not leave the pack back home. I might want to go out and get hold of a tube from here. Do you like tea tree face packs? Have your tried Beauty Formulas products before? Share your comments please. Hearing about this brand for the first time. 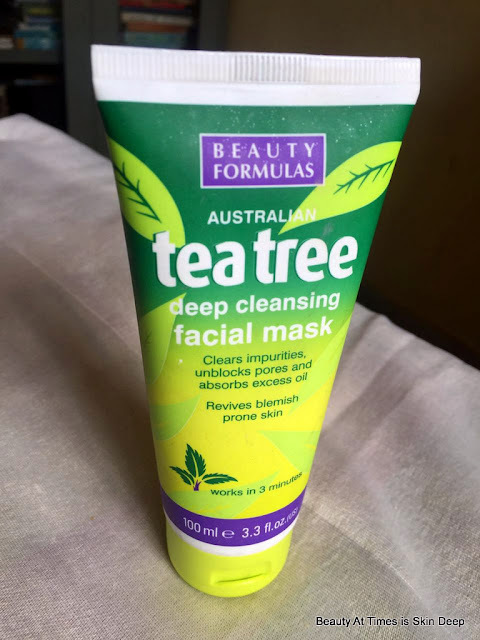 I love tea tree based products, they work really well on my acne prone skin. I wish I get my hands on this product, I would love to try it out.